The premier hotel in Ipoh, Perak. Impiana Hotel Ipoh (Formerly known as Casuarina Hotel Ipoh). 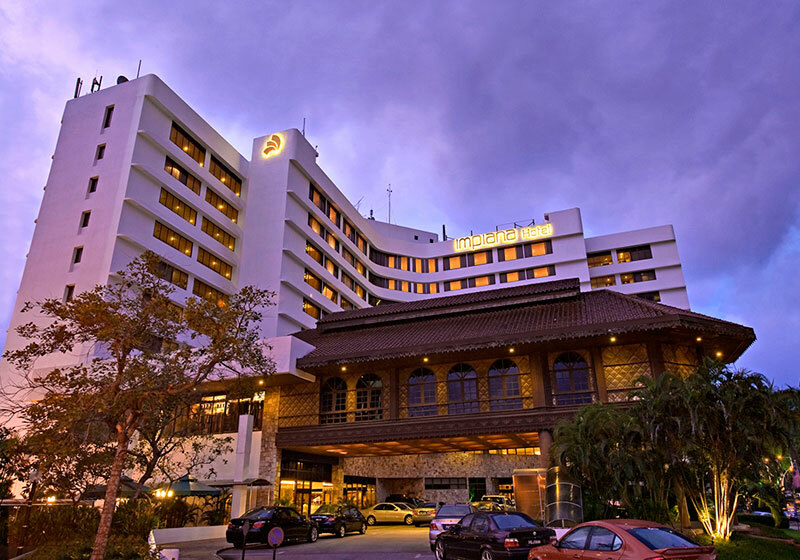 The Impiana Hotel Ipoh, Perak is ideal for both business and leisure travelers with high speed connectivity, convenience store, modern banquet facilities and great eateries to suit every occasion. Our Coffee House and banquet services are ‘halal’ certified. The hotel offers 200 guestrooms from Deluxe to Premier rooms with breathtaking views of the rugged limestone hills of Ipoh. All rooms are equipped with free WiFi, mini bar, coffee & tea making tray, modern bathrooms and telephone connectivity. At the Impiana Hotel Ipoh you will find efficient international service combined with Ipoh’s hospitality at its warmest; just dial 1 and we are on call 24 hours a day to meet your every need! Short Description: The Impiana Hotel Ipoh is the leading business hotel in Ipoh city and preferred medium sized hotel amongst local residents, tourists and international corporate because of our commitment to high international standards of service throughout the hotel.